January 2019: The Supreme Court of Canada is preparing to hear the case against Nevsun Resources this month. Solomon, 29: alleges that he was subjected to months of being followed and intimidated by government agents at the mines after a series of minor workplace disputes with his superiors and other workers. Solomon says he was abducted at gunpoint from Bisha mine, thrown into solitary confinement, tortured with electric shocks and beatings, and accused of being a spy. Kidane, 37: After his father died and he was refused permission to attend a religious memorial ceremony, Kidane left the mine without permission and went into hiding for four months. He was punished with two months’ imprisonment. On another occasion, when he failed to recognize a government figure at the checkpoint, he was imprisoned for two months in solitary confinement. 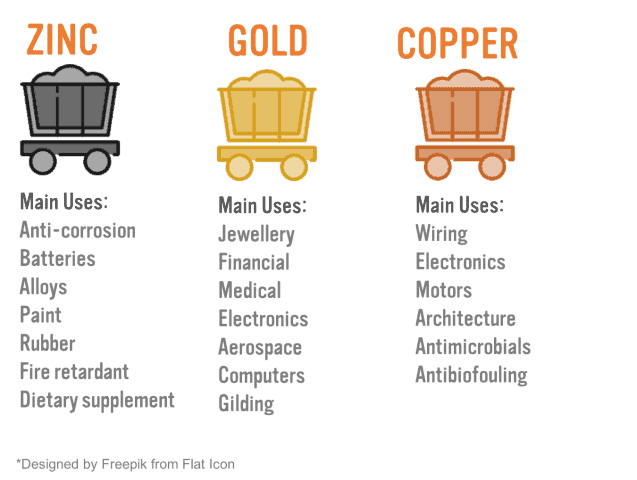 These are just a snippet of the stories that are being told by Eritreans working at the Bisha mine*, majority-owned by Nevsun Resources Ltd – a Canadian Mining company listed on the Toronto Stock Exchange. Nevsun operates the Bisha mine and subcontracts work there to a state-run company Segen Construction Company – known to make extensive use of conscript labor from the national service program. There have been repeated allegations of the use of forced conscript labor, propped up by intimidation, abuse and torture since construction began at the mine. Nevsun has either denied the existence of forced labor, or denied responsibility for it – whilst continuing to profit and even expand Bisha’s operations without truly addressing it. The Supreme Court of British Columbia, Canada, has granted the right to take Nevsun to trial over potential abuses in Eritrea – a landmark ruling. Right now, as the case against Nevsun will go ahead, we can also take action and ensure that big business does not profit from slavery. Call on Nevsun’s biggest shareholders to withdraw their investment, and support the fight to end profiting from slavery in Eritrea. July 7, 2018: Thanks to donations from the Freedom United community, Eritrea Focus handed out hard copies of the first ever report on the extractives industry in Eritrea at the UN Human Rights Council. M&G Investments remains a major shareholder in Nevsun Resources despite its links to forced labor. June 13, 2018: Thank you to everyone who chipped in raising $1,046 enabling our partner on this campaign, Eritrea Focus, to print hard copies of their new and much-needed report on the extractives industry in Eritrea. May 2018: We were outside the Chelsea Flower Show with our partner Eritrea Focus raising awareness with the public about the link between slavery, Eritrea and the Show’s sponsors, M&G Investments. October 2017: Following BlackRock no longer being listed as a major shareholder in Nevsun Resources on NASDAQ, we wrote to thank them for divesting and to seek information on the reasoning behind this decision. Read the full letter here. 19 May 2017: Freedom United, alongside partners Eritrea Focus, met with M&G Investments on 19 May, 2017 to discuss the campaign. We welcome their statement that they take the matter of forced labor seriously, but continue to encourage M&G to sell their holdings in Nevsun. Read M&G’s statement here. 3 May 2017: On 3 May, Nevsun held their AGM in Vancouver. 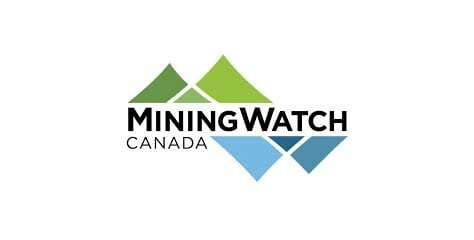 We joined our partners, including Mining Justice Alliance and Mining Watch Canada to take your signatures collected here, and by SumOfUs, to show both company executives and shareholders that operating in Eritrea is not acceptable. Read the media advisory here. As mentioned in my previous post, we ALL need to rise up and throw these disgusting politicians and slave traders into prison, release their ill gotten money sent to their offshore accounts and use it to create a just and fair world where no person is anyone’s Slave!!! What absurd nonsense. Not only is your statement grammatically incorrect – the facts do not appear to support your claims about either Ethiopia or Eritrea. Please provide proof of your assertions. Or back off and stop making unsubstantiated claims. Join the discussion…Vasily is correct Eritrea was a province of Ethiopia from 1963-1993 (Operation World p 322-323). So Clive you’re the one who should back off! The Eritrean military is completely corrupt. Children are kidnaped from school and enslaved. Worse things happen to the girls. We’ve sponsored several Eritrean refugees, the fortunate ones who manage to escape. They bear the marks of torture. I am sorry but Eritrea reads like one large concentration camp, and without a major shift in the mindset of those who allegedly run the country, this will continue, and the young will continue to flee in the hands of traffickers.. Coincidentally, Eritrea happens to be one of just two nations that force taxation upon its citizens all over the known universe. The other one is the USA. The international community has long been calling on Nevsun Resources Ltd to address the alleged use of forced labor in its Bisha mine, and reconsider its operation in Eritrea. However, Nevsun has made it clear that it will continue to operate, as it either denies instances of forced labor have occurred or claims that it has no responsibility over this aspect of the operations. In light of this, I believe that BlackRock and M&G Investments, have no viable alternative but to reconsider its position as a shareholder in Nevsun Resources Ltd, who operate the Bisha mine in Eritrea, and withdraw from all investment in Nevsun Resources Ltd. 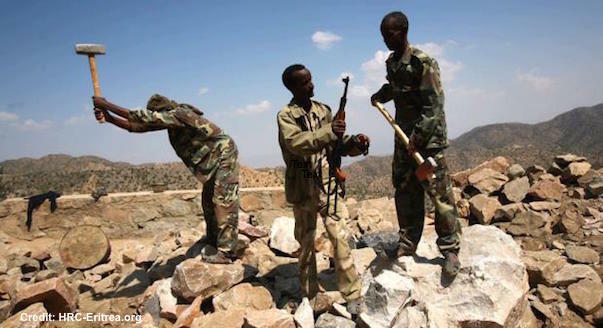 It is evident that for Nevsun to ensure it is respecting human rights and that forced labor is not taking place in its operations in Eritrea, the company would need to ensure it is not supporting the government’s use of conscript labor from the national service program. However, this is near impossible whilst operating in Eritrea. It is for this reason that I am now addressing you, the major shareholders to withdraw investment.